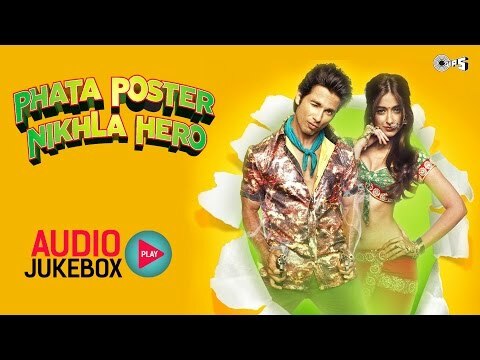 Synopsis : Phata Poster Nikhla Hero (PPNH) is a story of a boy brought up in a small town named Vishwas with dreams of being a Film Hero while his mother, Savitri always dreamt of making him an honest police inspector. Vishwas now a Man, comes to Mumbai for Police service Interview with hidden dreams of making it big in Bollywood. His passion for stardom leads him to a wannabe writer named Jogi who is a hoaxing and struggling writer in debt. Jogi along with his troupe of struggling actors get Vishwas a small role in a Film and Vishwas begins his journey to stardom. Just as Vishwas begins his journey and sets to meet his destiny of big stardom an Upright sweet girl named Kajal walks into his life turning his whole plan upside down. Vishwas now must pretend to be someone he is not for the sake of the girl and for his mother who wishes him to be a police officer. Vishwas is brought into the thick of things when his mother, an upright and honest woman decides to come to Mumbai to see her son perform his honourable duties as a police officer, where the added shenanigans of Kajal put Vishwas into the crosshairs of the local gang run by an international terrorist named Napoleon, who plans to bring the financial capital of india to its deathbed. Vishwas along with an honest and strict cop named Khare must bring this international terrorist organization to its knees, stop their terror attack and arrest the dreaded ringleader Napoleon. In his endeavors with Jt.CP. Khare, Vishwas must face his past which was hidden by Savitri, Vishwas must overcome his demons, search deep down inside and find his real calling and live upto the expectations of his mother and redeem his Family name fulfilling his mother’s oath.